Zo is dat maar net. I bethink me oftenwise how much more readers I should can get when I in English weblog. But yes, it is not to everyone gegiven to be the language of Shakespeare powerful enough. Helase peanutcase. So. And than it is now back to the work. Ayuse! I was just laughing at the fact that they were having a discussion/meeting/whatever event about Properties of Fat in the ladies. 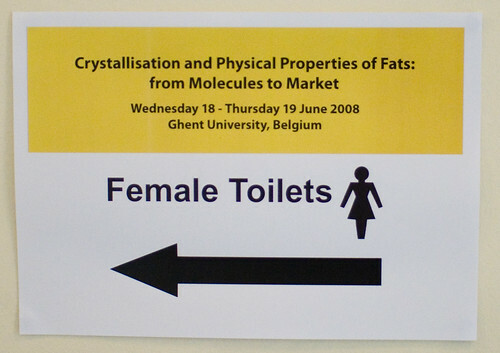 I have a suspicion that women more than often discuss the properties of fat there. Why do you think it takes so long and why do they always go together? unfortunately peanutbutter, writing in English falls against for how much people visit you is mine experience. I must this reallywise show to my English-languaged comrade! how does a female wc look out? i am curieus to know!